Hello lovely people. Hope the week is going great for y'all. Today I shall be reviewing a product that is different, interesting and very useful. 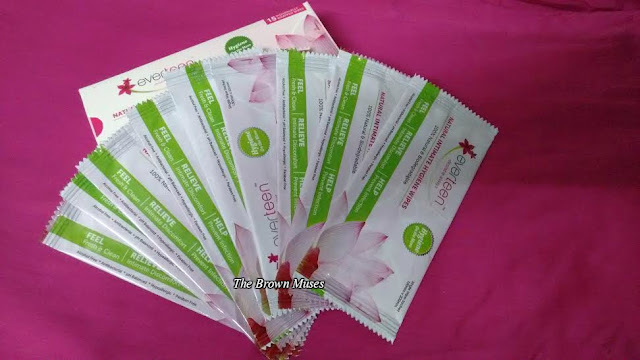 I am proudly introducing Everteen Natural Intimate Hygiene Wipes which claims to be India's first 100% natural and biodegradable wipes. These wipes are meant to be used on our sensitive area which leaves them clean and fresh when on the go. Let's see how the product fared for me. Available: Here. I am not sure if they are available in retail stores too, you will have to check it out yourself. I feel one must take utmost care in maintaining personal hygiene, as personal hygiene is vital for our overall health. I switched to intimate washes some two years ago and there's been no looking back. I urge girls above 18 years of age to switch to intimate washes for better personal hygiene. I have been using Everteen brand's intimate wash from last seven months and the product does what it claims to a great extent. 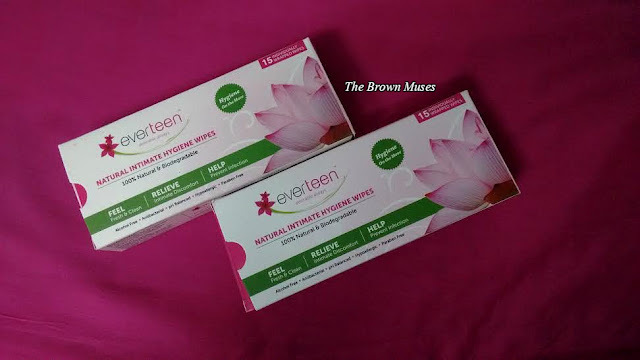 Recently I was contacted by the brand to try out their new launch called Everteen Natural Intimate Hygiene Wipes which seemed like an interesting product. I had never heard of something like this before so I was very eager to try it out. The brand was generous enough to send not one but two boxes of the wipes. Each box contains 15 wipes which are individually wrapped to avoid contamination and it also makes carrying the product easily when on the go. You can easily sneak in 2-3 wipes in your handbag. 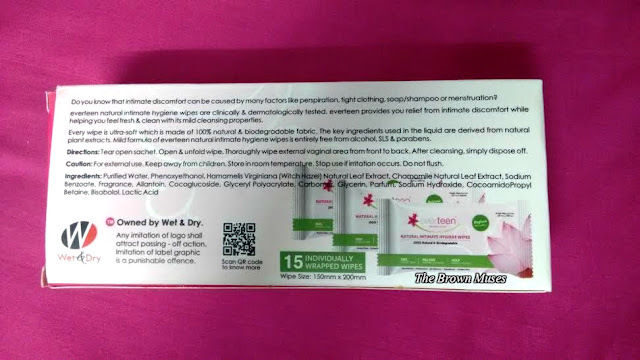 Since each sheet is individually wrapped therefore the wipe was moist and had a mild fragrance which was not bothersome at all, the sheet was very soft and didn't cause no irritation in the sensitive part . The fragrance reminded me of the intimate wash from the same brand which smells quite similar. I used these wipes during my that time of the month and it left my sensitive part clean and fresh. I was initially wary of using it during that time of the month but I shed my inhibitions and went ahead. I was not disappointed. I used it after urination too and it left my sensitive part clean and fresh. We are all aware of the condition most public toilets in India are, they are untidy and unhygienic but in case of emergency we have to use them whether we like or not. In such cases, these wipes come in handy as we don't want ourselves to come in contact with any sort of infection, post urination one can easily tear open the outer pack, pull out the wipe, use it and dispose it in dustbin. I even found out one way of disposing it off, all you gotta do is simply stuff the wrap in the outer pack and throw it away. Please do not flush the wrap in the toilet as these cannot be flushed. To conclude, these wraps are very good and very useful in maintaining overall personal hygiene. For sure! I feel it's a must for every woman on the go and at that time of the month. Disclosure: The product was sent by brand for consideration but my review is honest and unbiased.